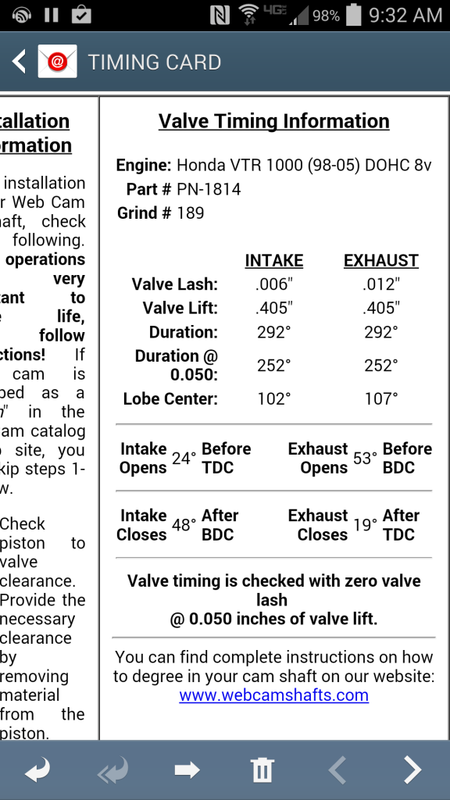 and for those of you without a conversion chart handy, the lift on both intake and exhaust cams is .405 inches so thats 10.287 mm. so about the same lift on the intake side as the moris and a little more lift on the exhaust side. Well really the aftermarket springs are just there to cope with higher lift and keep the valves from bouncing. Usually heavy duty springs have less coils giving more space between coils to prevent coil bind. Quick Reply: Webcam camshaft specs. do i need aftermarket springs?